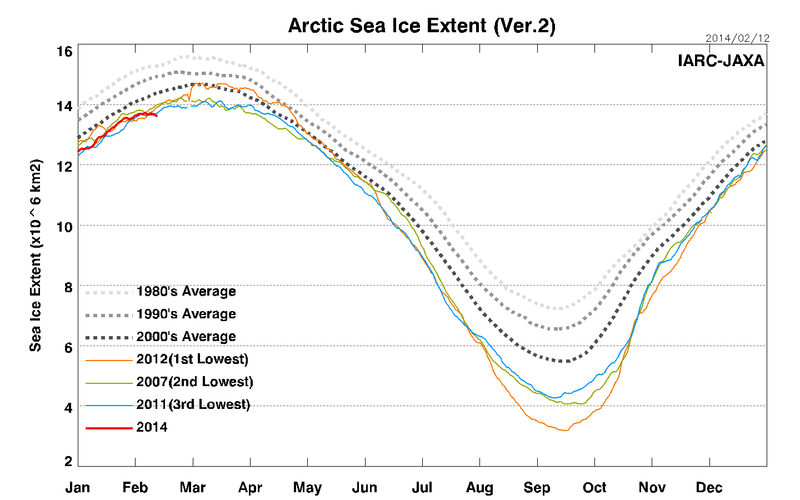 Usually in February and in March to come, the Arctic Sea ice reaches its greatest extent, area and thickness. However this season it is going through a major slow down in growth - actually declining some days in the last couple of weeks due to wind and temperature factors. 774,271 km2 below 2000s average for this date. 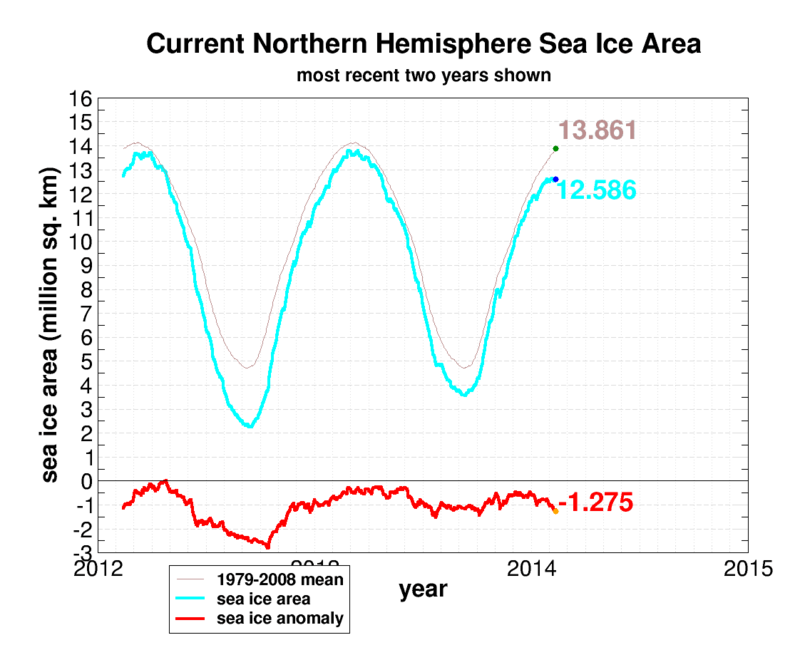 249,847 km2 below 2010s average for this date. 307,174 km2 below 2012 value for this date. 771,425 km2 below 2000s average for this date. 204,177 km2 below 2010s average for this date. 89,816 km2 above 2012 value for this date. Second lowest ever for the date. 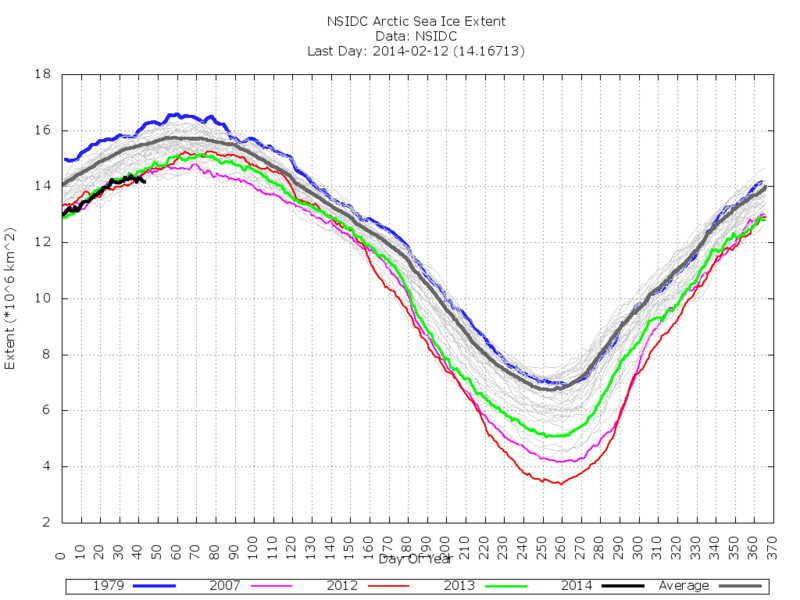 At this point, this seems to leave the much of the multi-year ice in the Beaufort Sea for potential melt-out this season. Time will tell.